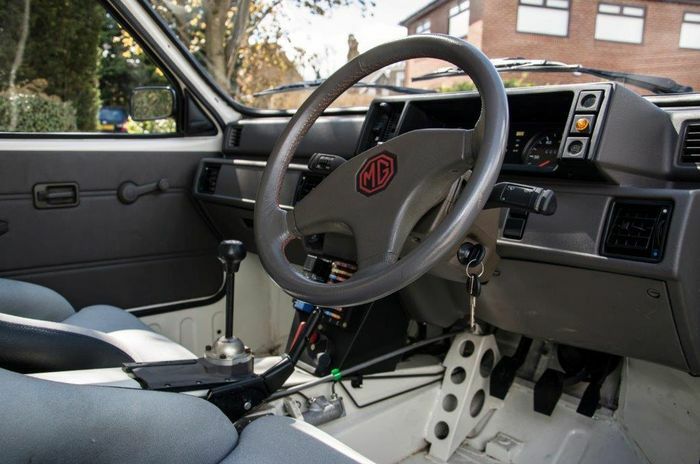 Such is the ridiculous state of the classic car market, that I scanned the press release for this soon-to-be-auctioned 1985 MG Metro 6R4, and was pleasantly surprised to find a £180,000 lower estimate. That’s actually quite reasonable, don’t you think? The car was bought by Williams F1’s marketing department in 1988, and has spent its life doing not much at all. Despite being on planet Earth some 33 years, it’s only clocked 175 miles. 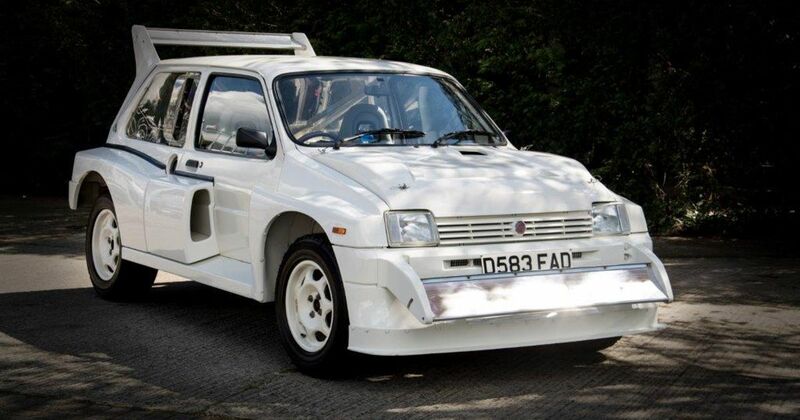 What you’re looking at here could be considered a ‘brand new’ 6R4. Just 200 of the ‘Clubman’ Group B homologation cars were built, with Williams playing a key role in the car’s development. Like most Group B rally machines, the 6R4 had precious little to do with the boggo road car it shares a name with. 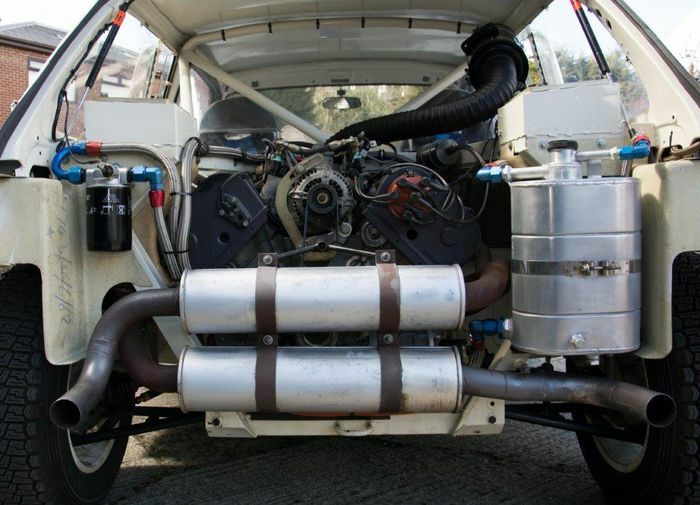 It was built around a bespoke tubular space frame chassis and powered by a 3.0-litre V6 engine with cylinder heads modelled on the top end of the legendary Cosworth DFV V8. Famously, that unit would go on to be used in the Jaguar XJ220. In competition trim the six-banger was good for over 400bhp, although the road cars had a still very handy 250bhp. The current owner took possession of this one in 2015, opting to have a “full mechanical re-commissioning” done in 2017 by BGM Sport. The work included a complete overhaul of the fuel system, and the car is said to be in “sparkling condition”. Having arrived nearer the end of the Group B rules and never quite had the chance to make a name for itself, the 6R4 ended up being one of the lesser known cars of the era. That’s perhaps why it’s a sort of bargain. 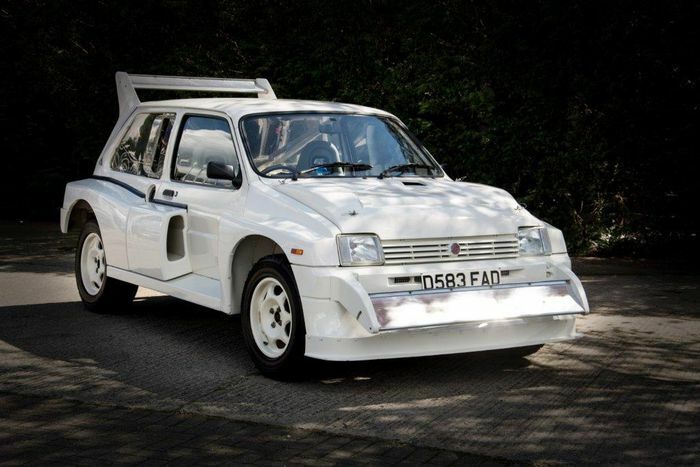 It’ll go under the hammer at Silverstone Auctions’ Autosport International sale on 12 January.